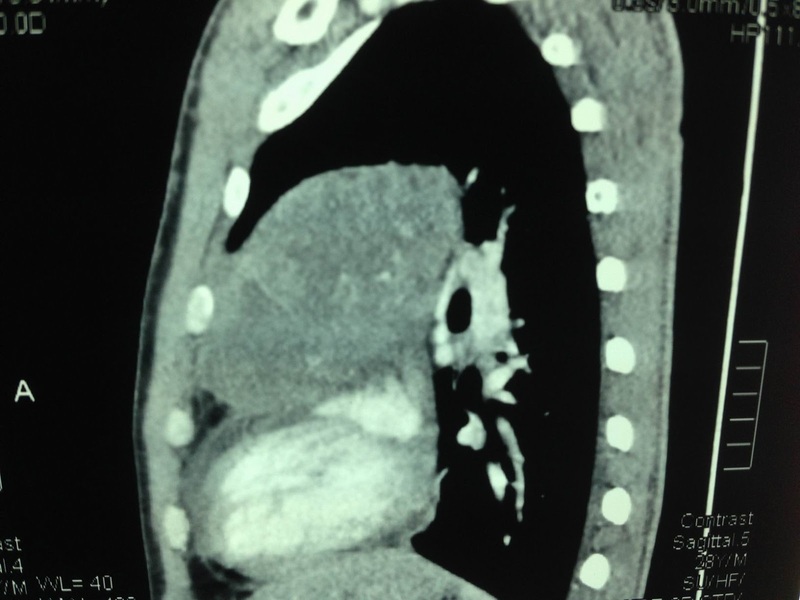 Man 28yo, one week ago getting of chest pain, fever and cough. 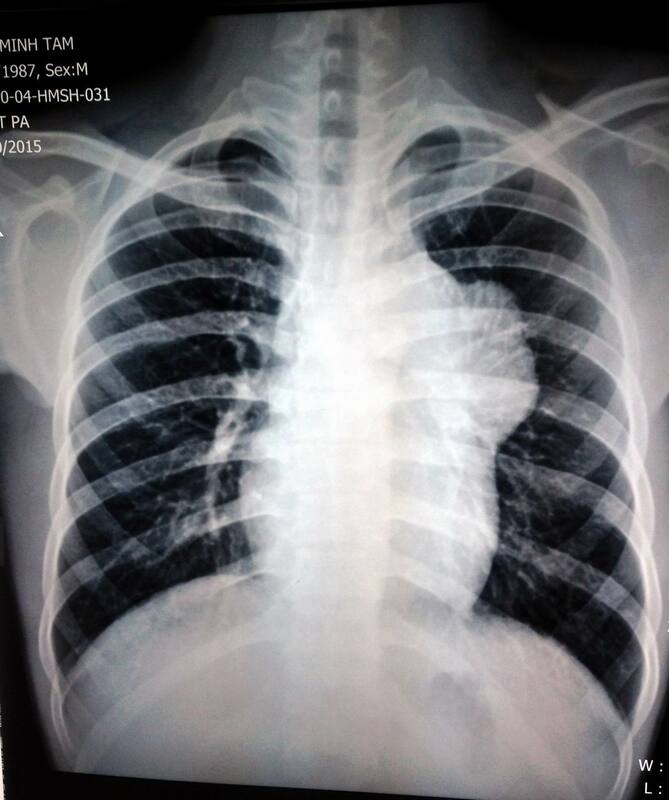 Chest X-Rays (image 1) showed a mass at left lung which was thought to be a left anterior mediastinal tumor. 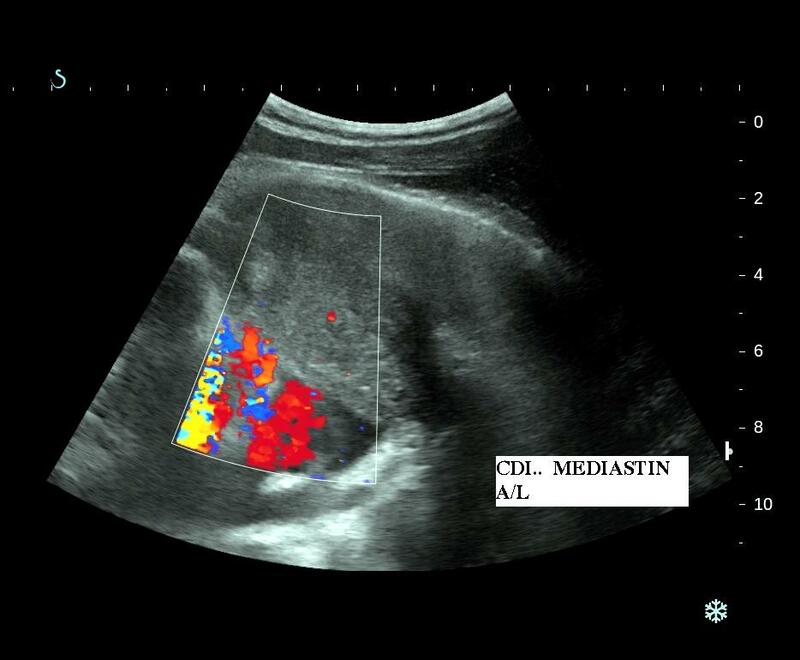 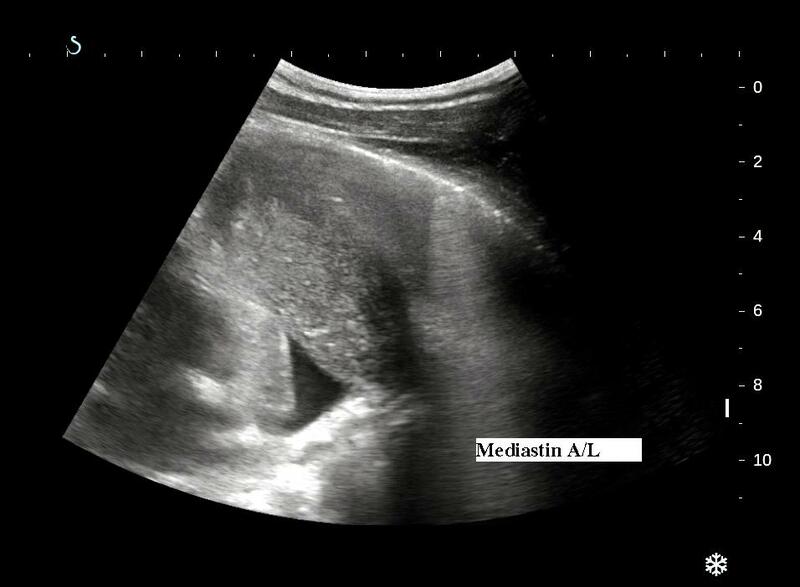 Transthoracic ultrasound reported a solid mass, size of 6.7 cm, hypovascular, covered left anterior mediastinum with pericardial effusion (ultrasound images 1, 2, 3, 4). 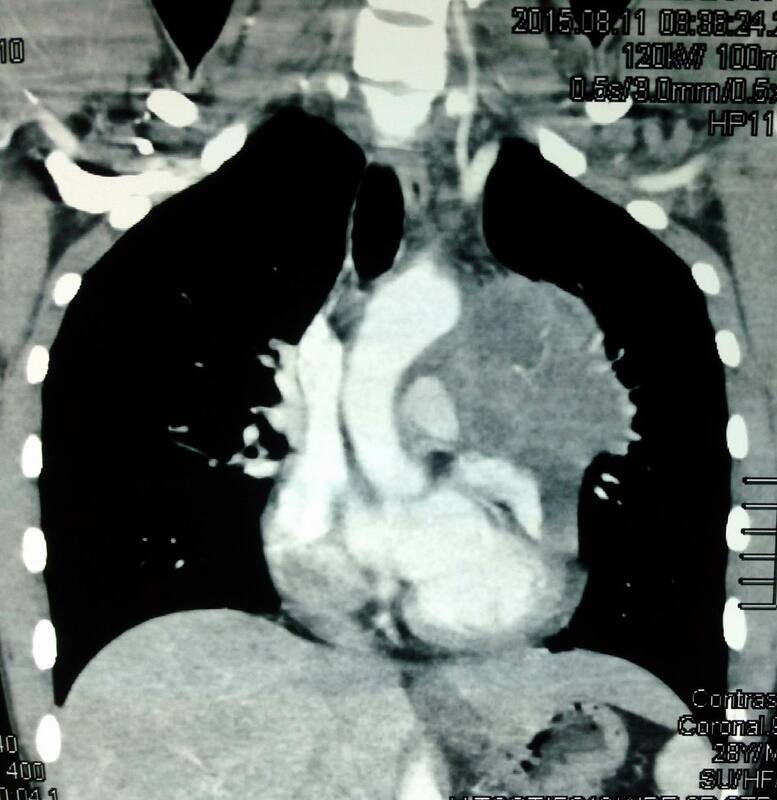 MSCT with CE made diagnosis with a left anterior mediastinal tumor like thymoma. 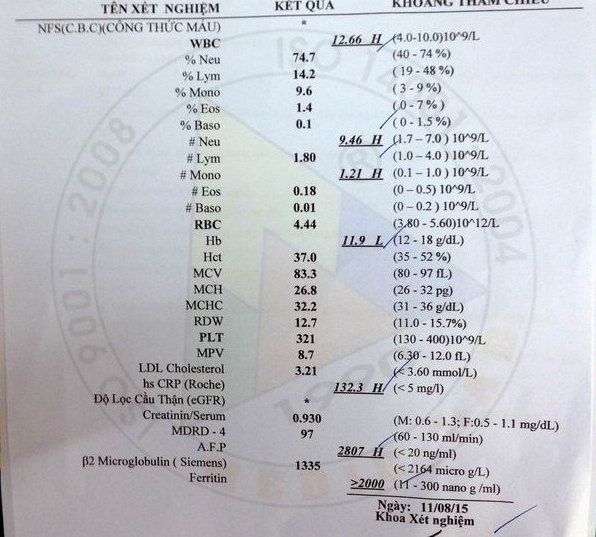 Blood test made attention to AFP very high value (lab report). 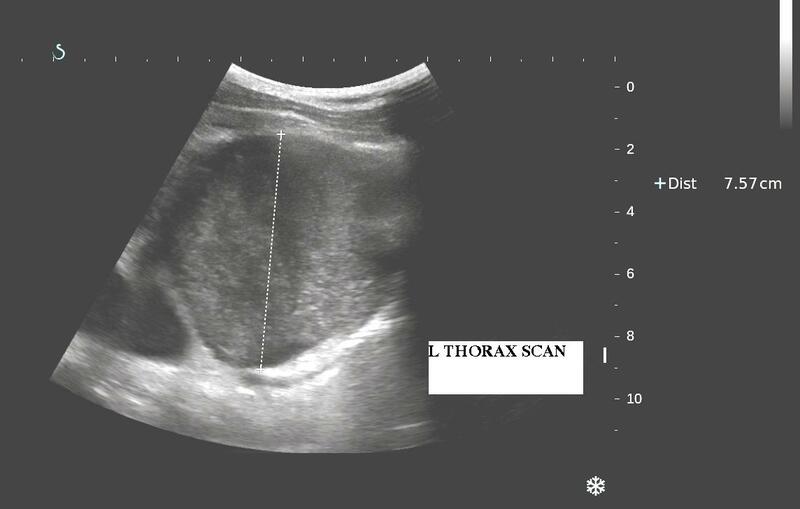 Clinical status and XRays film , US, CT and lab reports suggested a teratocarcinoma (seminoma). 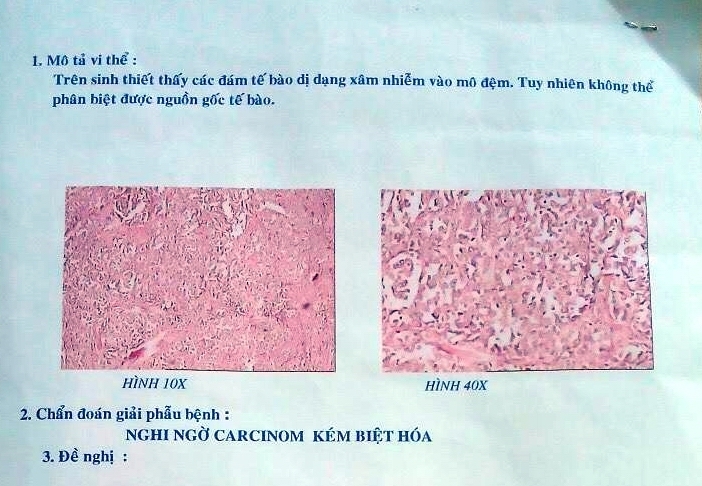 Core biopsy of this tumor report was an undifferentiated adenocarcinoma. 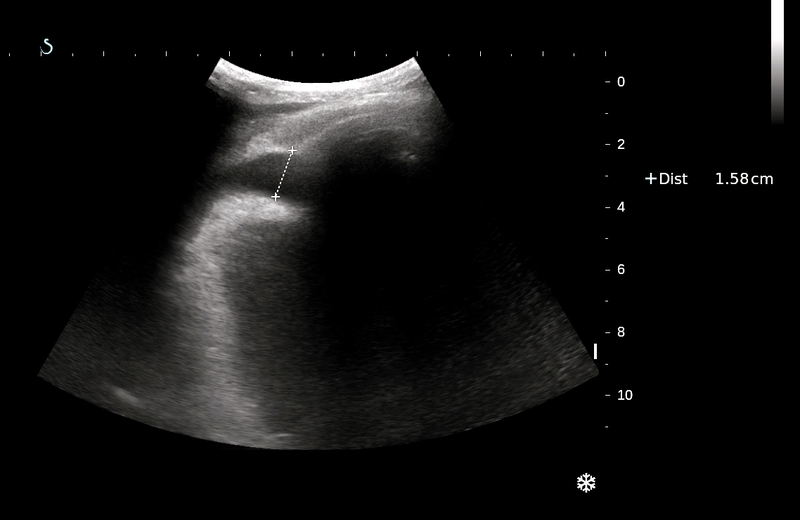 The patient is waiting for operation.